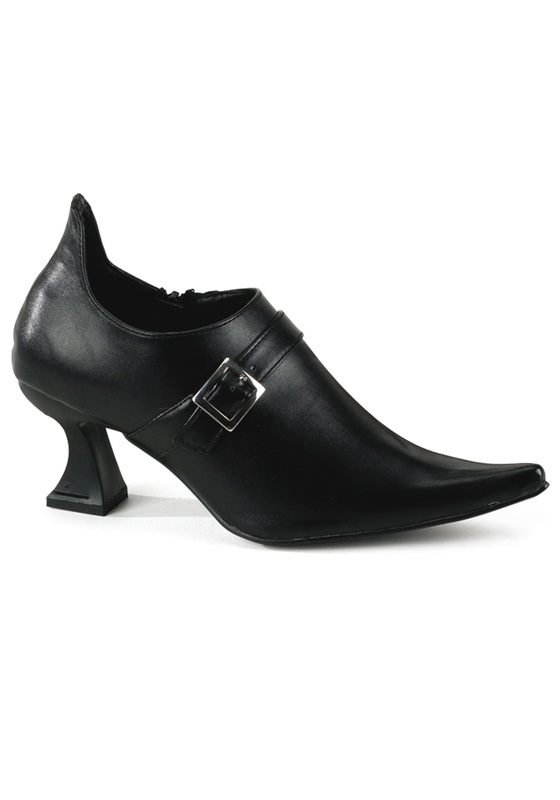 Be wicked from head to toe when you add a pair of Witch Shoes to your costume. The black faux leather shoes zip up on the side for on and off. The square heel gives the shoe some height. A silver buckle straps across the foot for added detail. In addition, the toes of the shoes narrow to a point. Perfect for your wicked witch costume!